Summary: Complete guides on how to make a cord necklace in strong national collar style; during making a necklace of this type, you may learn the way making a cord wrapping necklace as well. Strong national style Waxed cord necklace are some of the most individual and attractive kinds of jewelry ornaments. If you are just about to making a necklace, which is really special and characteristic, simply put your eyes here how to make a cord necklace tutorial. The process is simple, but the outcome is amazing and surprising. How to make a cord necklace? 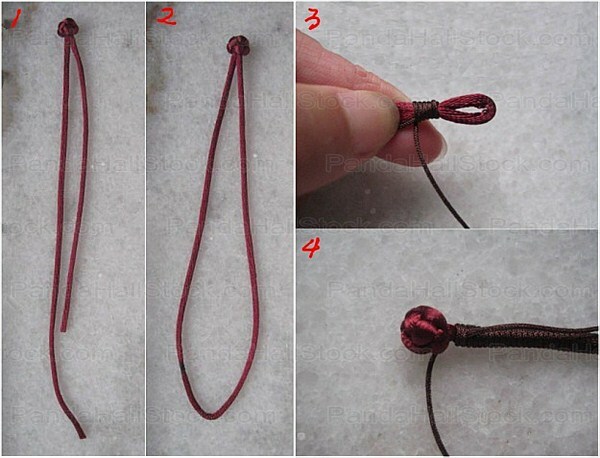 Then, tie a button knot 5~6cm nearby its center position; at meanwhile, combine the starting and end using a lighter. Take the 2.5mm black Cotton Wax Cord, wrap it around the core loop from the position may leave a small for the button knot closure. Continue the wrapping action until completing whole core loop. In the end, tie knots to secure the cord may not fall apart. As the ending item show, in the center part, you can take some thin cord and beads and charms for use. The above is the main content of today’s tutorial on how to make a cord necklace. 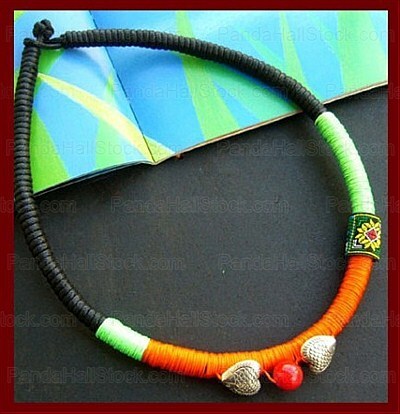 What’s more, while making a necklace within exotic or national types, the bright multiple-color cords groups are necessary keys for a successful item.